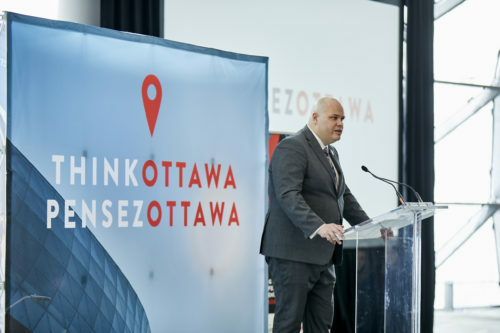 OTTAWA — Ottawa Tourism, Shaw Centre and Invest Ottawa are partnering to launch ThinkOttawa, a program aimed at bringing more conferences and conventions to Canada’s capital through the creation of local ambassadors. In addition to attracting potential ambassadors, the ThinkOttawa program also offers support services to help win and deliver events across the city. Raised Profile – Hosting an international conference can heighten the visibility of an ambassador’s work, while potentially generating additional research funding. Impact an Industry – With many international events only ever visiting a city once, it presents an opportunity to leave a legacy in the ambassador’s industry and the city as a whole. Networking – Ambassadorship provides an opportunity to expand networks, develop relationships and build research partnerships locally and around the world. Recognition – Be recognized for their efforts in championing an event at annual awards attended by peers, government leaders and other industry experts. Bid Development – ThinkOttawa will work with ambassadors to prepare a customized bid document and presentation. Venue and Accommodation – As destination experts, the ThinkOttawa team will recommend and source proposals from venues and accommodation providers. Government, Community and Partnership Support – Letters of support can be obtained from key stakeholders, partners and municipal government, where applicable, to help both the bid and organizing process. Marketing and Promotional Materials – Access to promotional photos and videos that showcase the city and its unique offerings will help in the initial bid process, as well as securing attendance at the event itself. Financial Support – Ottawa Tourism offers funding programs designed to assist eligible organizations with exhibition and meeting space rental costs, as well as other areas of expenditure.